Freddy finds out about the devastating 2015 earthquake in Nepal from his family and hears how his Dad had survived one in India. 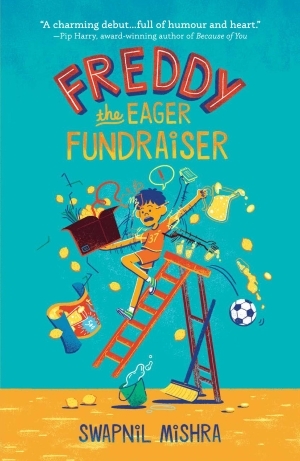 Moved by the plight of the earthquake victims, Freddy wants to contribute to his middle school’s fundraiser with the Singapore Red Cross; he and his brother work on household chores for pay and attempt to set up a lemonade stand, but Freddy feels it is too small a contribution. Discouraged and about to give up, Freddy is inspired by a young girl selling cookies at his inter-class football game and decides to give it a second run. Inspired by his younger brother Ray, who plays the ukulele, Freddy calls on his friends, family, and colleagues of his parents to set up a fundraiser/awareness fair within two weeks, battling and surmounting challenges along the way.